Collision 8 Where Are We? Note: due to the long fermentation time required, it is not possible to “make” kombucha during the actual class. Everyone is going crazy for kombucha! Come along to sip and learn more about this variety of fermented tea which will assist you in keeping a healthy gut. 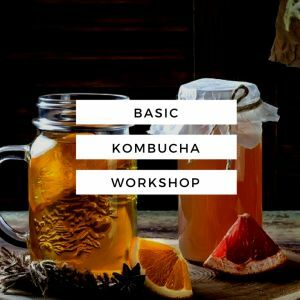 While tasting four different ‘flavours’ of kombucha, we will discuss the basics of what kombucha is and its benefits. A kombucha brewer herself, Melissa will be sharing her tips on what to do and what NOT to do when making your brew. Melissa is the founder of The Wellness Insider, a platform to promote body confidence through curated services, products and opinions. Focusing on Fitness, Food, Lifestyle and Beauty, they also help companies or individuals in the wellness industry to brand and market themselves. The Wellness Insider will also be organizing a holistic festival, Wellness Day Out on 23rd to 25th June 2017. Questions about the class? Please email singapore@lanewaylearning.com. The featured image is borrowed and edited, with thanks, from The Wellness Insider under a Creative Commons license. Got a burning question? Contact us here: singapore@lanewaylearning.com.